How beautiful does this looks! 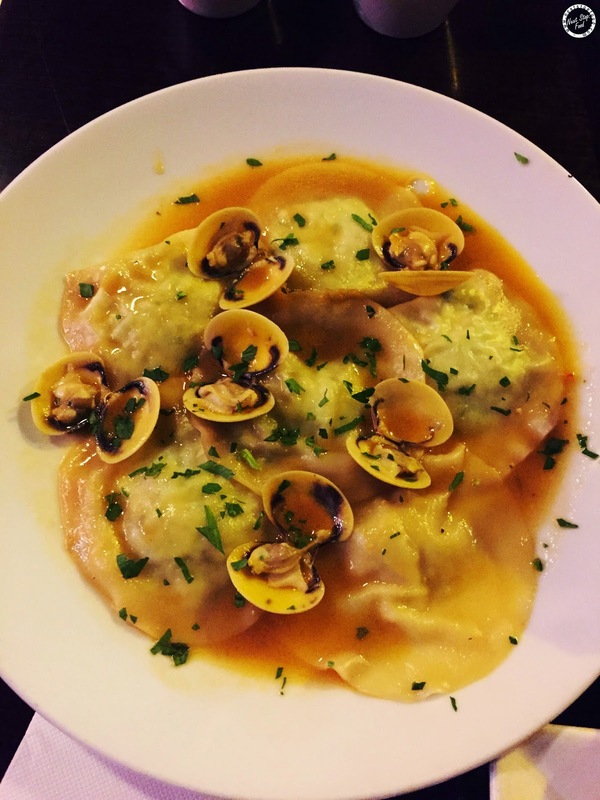 At Pastizzi Cafe, apart from making their own pastizzi, they also offer homemade ravioli. The beautiful seafood mince was sealed in a thin pasta and the ginger broth brings out the freshness of seafood. I was blown away how wonderful this dish was and would come back for it just for it! And now, for the pastizzi. All of them were crunchy and so flakey that crumbs flew everywhere! The waitress gave us their "special sauce" to go with the pastizzi but it was good without the sauce. 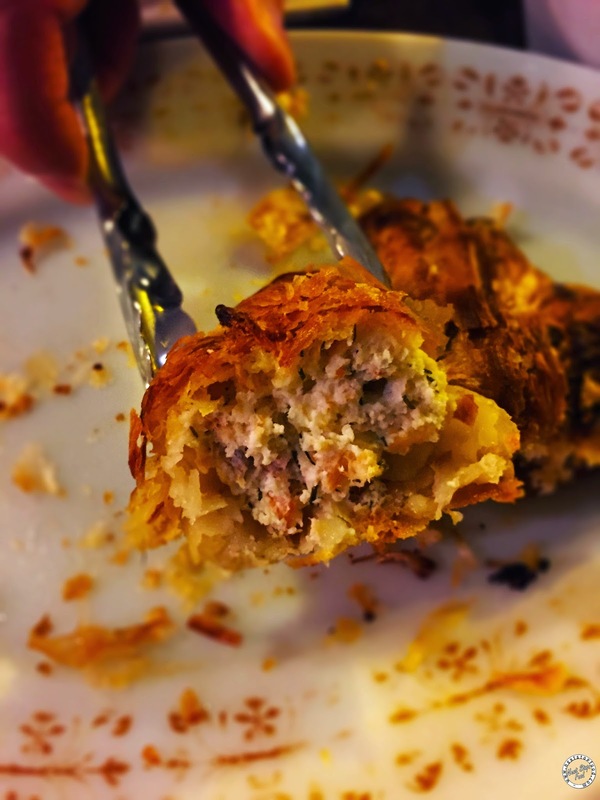 Oops, no innard shot for the spinach & ricotta which tasted average, I could taste the buttery pastry more than the filling. The salmon was a bit dry and the dill was quite intense. 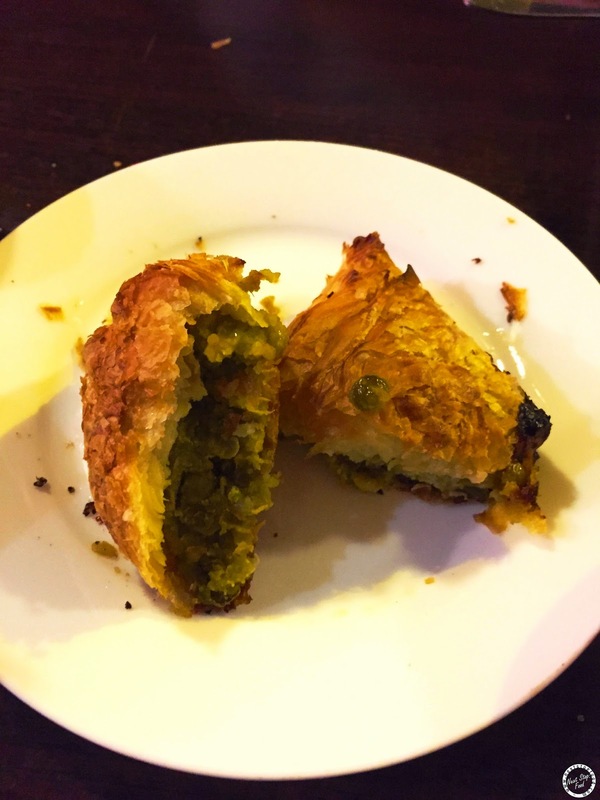 I must admit, mashed peas isn't something I would usually order, the boy ordered it and it turned out to be my fav pastizzi of the night! The curry spices in the mashed peas were more-ish, it was so good that we ordered another one after we finished the ravioli. 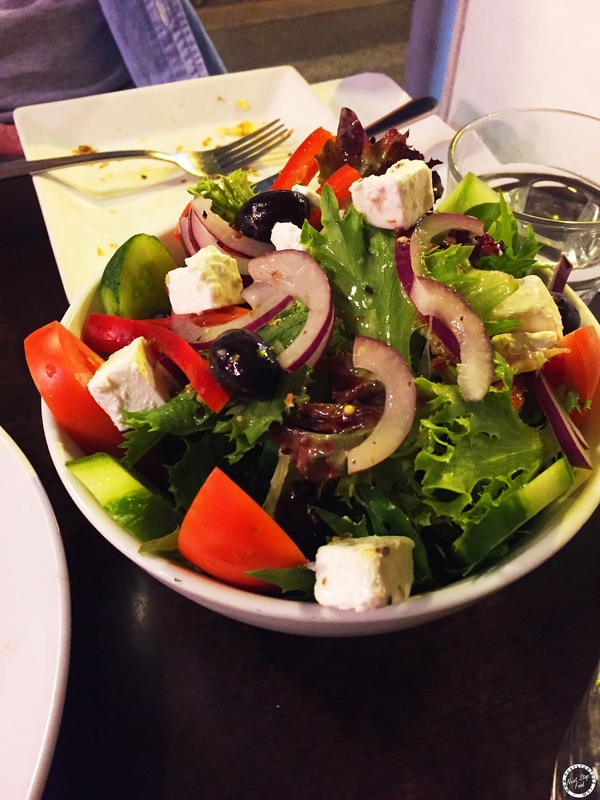 Loved the tangy dressing of the salad and it was perfect with the pastizzi. All the wait-staff were friendly which is always a bonus and if you want a drink with your dinner, Pastizzi Cafe is BYO! 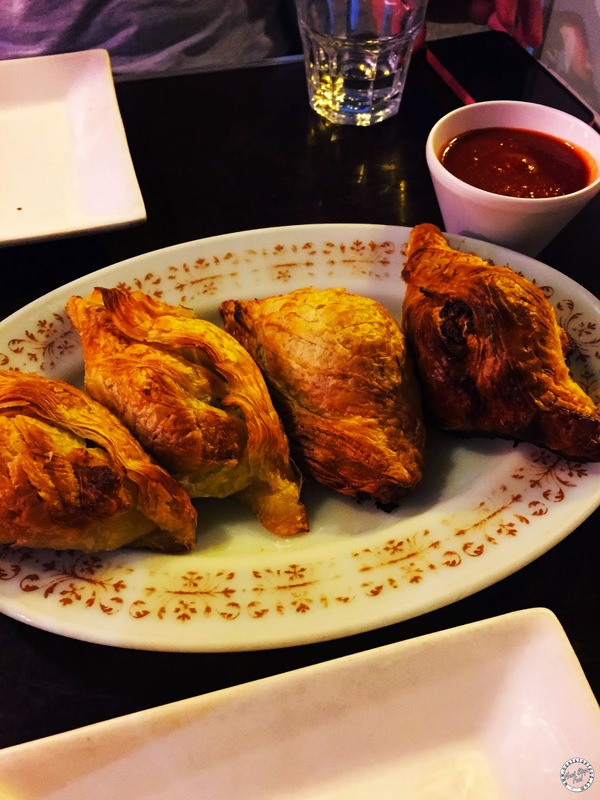 Premade pastizzi can be purchased so it's good for the nights when you're too tired to cook. I was surely surprised by their lovely ravioli and would definitely come back for it as well as to try their other pastizzi (I have heard that their sweet pastizzi are delicious!). The prawn and crab ravioli sounds and looks sensational! I've often stopped in for a pastizzi or two but I keep meaning to sit down and have a proper meal here too! The ravioli looks delish!